Fractures that are sustained around or near hip and knee replacements can be a devastating injury. Typically when a patient sustains a fracture like this they will go to the ER because of the large degree of pain. These fractures can possibly be treated by an orthopaedic traumatologist if the prosthesis does not have to be changed. However, if the prosthesis is suspected of being loose it is beneficial to have a fellowship trained hip and knee Adult Reconstruction specialist to perform the procedure to likely replace the loosened prosthesis as well as repair the fracture. Occasionally these injuries can be treated without surgery but the vast majority of these fractures will require a surgical procedure. These injuries can be very difficult when the prosthesis loosens from the bone combined with a complex fracture with multiple pieces and bone which is weakened like with osteoporosis. It takes a large degree of skill to enable the proper repair of all of these components when dealing with these difficult surgeries. 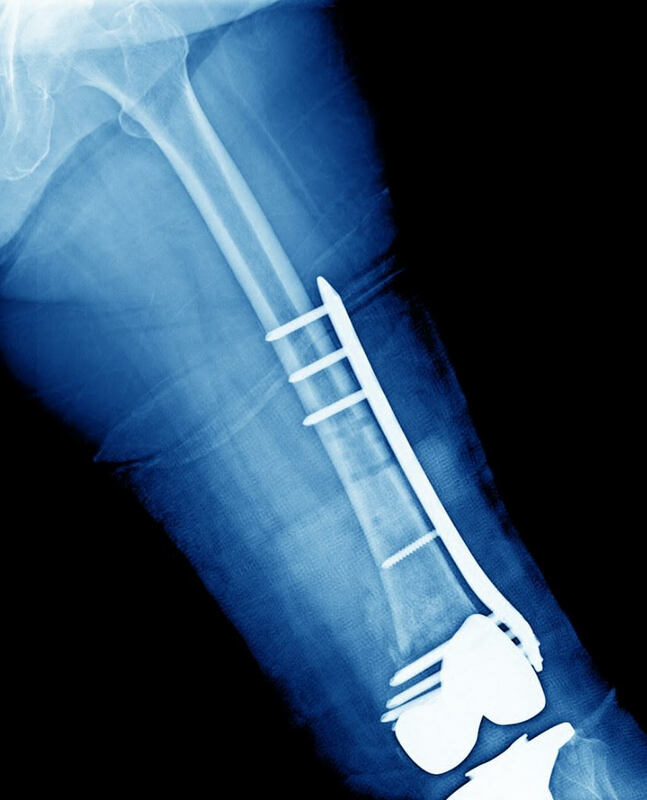 In most cases the patients fracture can be repaired with a new prosthesis fitted when needed.